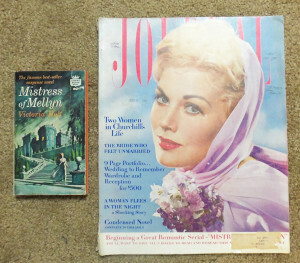 Before the age of the internet, how did a new author market his or her novel? 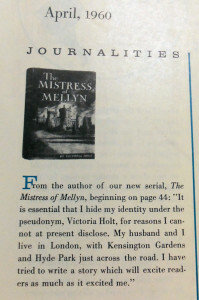 One popular method was to publish segments in women’s magazines (called “serials”), and it happens that the very first Victoria Holt novel was published in the April 1960 issue of Ladies Home Journal. The magazine, pictured here beside my paperback version for size comparison, is much larger than today’s magazines. Other than a vague few lines on the index page, it is entirely story and nothing at all on the author. 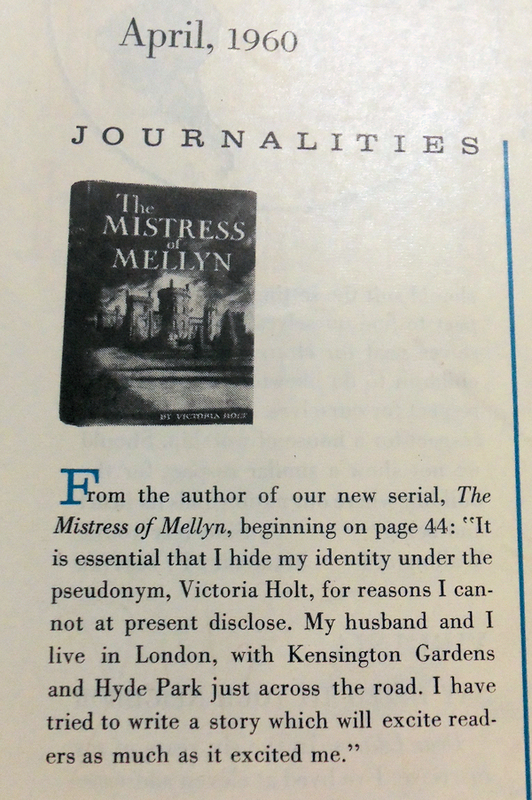 In fact, the pseudonym Victoria Holt was at first kept a great secret. 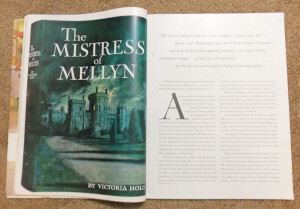 The story has a full page image of the book cover, and spans over 20 pages, mostly in half or quarter pages with the rest covered in various ads. 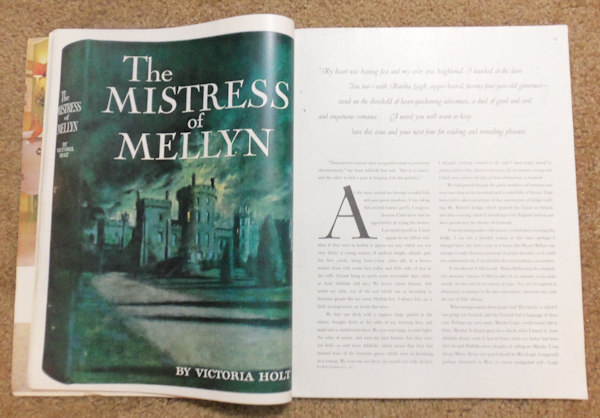 In another magazine article published shortly after the author’s death–Book and Magazine Collector No. 109–it is said that Eleanor Hibbert had published short stories anonymously or under unknown pen names in Daily Mail and Evening News, and possibly other publications and magazines.